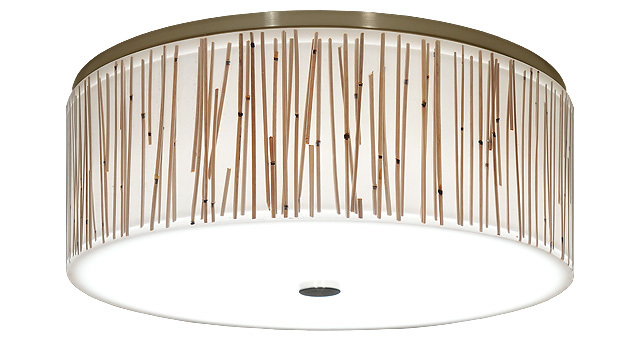 Recesso Lighting has re-thought recessed lights by adding innovative shades and pendants. While this solution wouldn’t work for vaulted ceilings, it could be the perfect solution for your home. It takes only three steps to change that dated Swiss cheese hole into a contemporary detail. 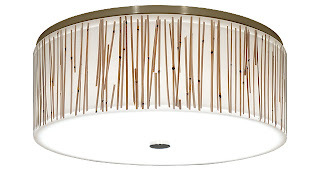 A special locking ring mounts to the ceiling around the recessed light. Once the ring is in place, it’s twisted into place. It’s that easy! 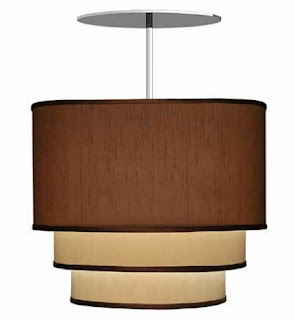 The Fabricato triple semi-flush [top] is made-to-order with linen shades. More modern fixtures feature etched glass [bottom] and inlaid resin. They also designed a converter kit that can be used with ordinary light fixtures. 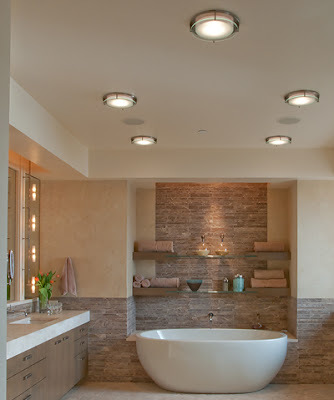 That means you can easily change the wet location fixture over the tub into a vintage chandelier. Click – recessolighting to find out more!